In: 12th UNIZIK Convocation Ceremonies Schedule Of Events – 2018!!! 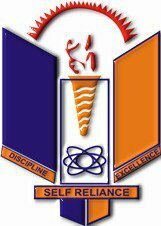 12th UNIZIK Convocation Ceremonies Schedule Of Events – 2018!!! The Nnamdi Azikiwe Universty UNIZIK 12th convocation ceremony date for 2018 has been announced. The convocation ceremony will be officially graduating students from regular, CEP and Sandwich programmes. All students as well members of the general public are hereby informed. This is to inform the 2016/2017 Graduands of Nnamdi Azikiwe University, Awka, parents/Guardians, Alumni of the University and the Public that activities marking the 12th Convocation Ceremonies of the University for the award of First and Higher Degrees, Diplomas and Certificates, Presentation of Prizes and Award of Honorary Degree will take place from Monday, 19th to Friday, 23rd March, 2018.